Last week I showed you the beautiful Scheepjes Sunkissed yarn that had arrived and that I was planning to work on a knitted project and I’ve made terrific progress! I’ve steamed through the first colour and am working on the second colour. I can already see that three colours won’t be enough, so once I’m finished with the blue I’ll dig around in my Sunkissed collection to find the right colour to match. But in the meantime, I’m just enjoying watching this grow, and am falling more and more in love with the colour variation of this yarn. I’m also lucky to have had a couple of sunny days – finally! – so I can spend time outside knitting and improving my skills. This really is the perfect project for a beginner, or someone who just wants to sit in front of Game of Thrones and knit. Or someone who wants to learn a new knitting technique. I knit in the English style. Well, kind of. There’s a lot of movement in my hands, and I wanted to learn to refine my style so I was using less energy, if you know what I mean. So for this project I started practicing the Continental style, which worked well while working the knit stitch, but purl? Forgetaboutit. I just cannot get the tension right, and I was knitting much faster if I just went back to the English style. You’ll have to check back next week to see the final colour that I’ll use, and how it’s all coming together. I’m loving the Sunkissed so much, and the drape is gorgeous. 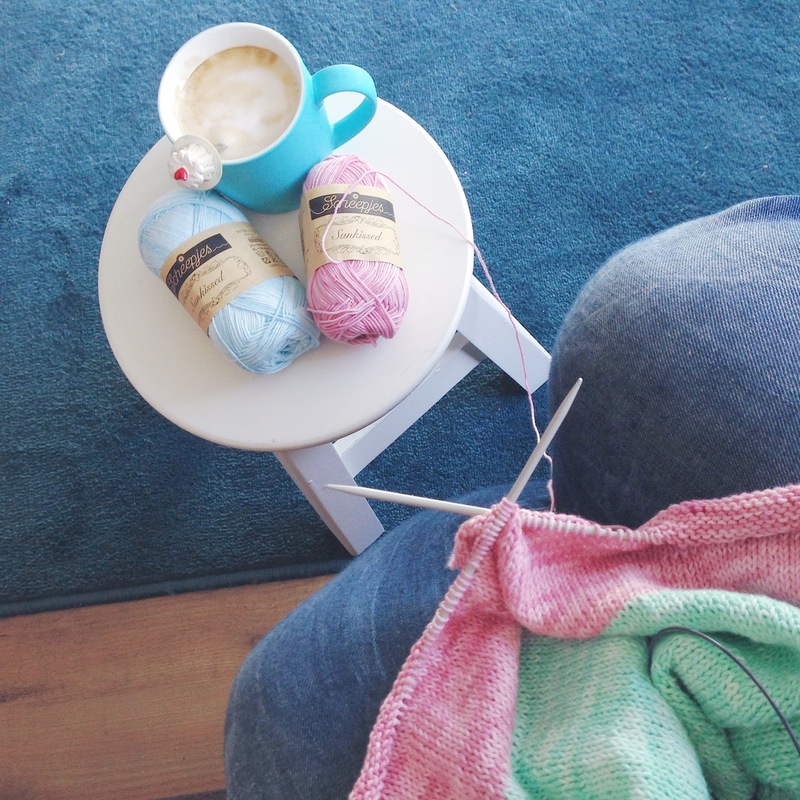 The next thing I’d like to make is a cardigan, or a shawl, but I have to find or develop the perfect pattern…. 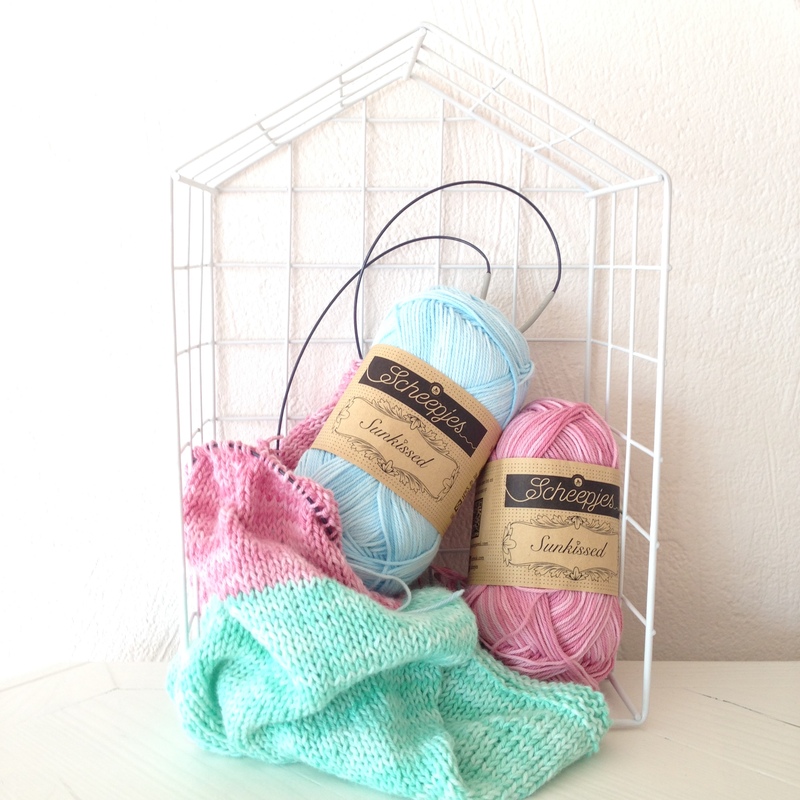 This entry was posted in knit, Scheepjes and tagged knit, knitted blanket, scheejeswol, scheepjes, sunkissed. Bookmark the permalink. I am impressed that you tried to change your knit style! Far too much work!